Note from Randy: Tomorrow, November 22, 2018, is the 55th anniversary of the death not only of John F. Kennedy, but also of C. S. Lewis. 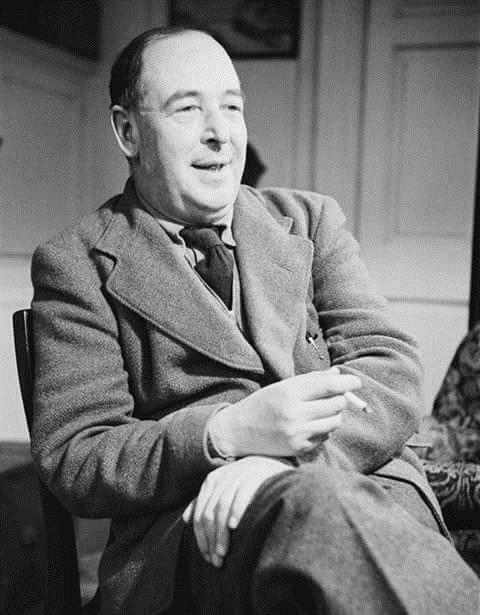 If someone asked me which historical figures I’d like to hear answer questions, one of them would be C. S. Lewis. Providentially, he had such a session on April 18, 1944 and it was transcribed by shorthand and corrected and added to by Lewis before going to print. Though the questions were asked nearly 75 years ago during World War II, I think they carry over very well to the modern world. The original gathering where he fielded the questions was the Head Office of Electric and Musical Industries Ltd., Hayes, Middlesex, England. I have picked out six of the seventeen questions and answers as recorded originally in an article called “ANSWERS TO QUESTIONS ON CHRISTIANITY” and reprinted in God in the Dock (available on Christianbook.com and Amazon). God in the Dock contains many of Lewis’s essays on a wide variety of interesting subjects. Depending on the individual, some of the essays will resonate more and some less. But I highly recommend it for anyone who wants to hear from C. S. Lewis. Question 3. Will you please say how you would define a practicing Christian? Are there any other varieties? Lewis: Certainly there are a great many other varieties. It depends, of course, on what you mean by ‘practicing Christian’. If you mean one who has practiced Christianity in every respect at every moment of his life, then there is only One on record—Christ Himself. In that sense there are no practicing Christians, but only Christians who, in varying degrees, try to practice it and fail in varying degrees and then start again. Question 5. Many people feel resentful or unhappy because they think they are the target of unjust fate. These feelings are stimulated by bereavement, illness, deranged domestic or working conditions, or the observation of suffering in others. What is the Christian view of this problem? Lewis: The Christian view is that men were created to be in a certain relationship to God (if we are in that relation to Him, the right relation to one another will follow inevitably). Christ said it was difficult for ‘the rich’ to enter the Kingdom of Heaven, referring, no doubt, to ‘riches’ in the ordinary sense. But I think it really covers riches in every sense—good fortune, health, popularity, and all the things one wants to have. All these things tend—just as money tends—to make you feel independent of God, because if you have them you are happy already and contented in this life. You don’t want to turn away to anything more, and so you try to rest in a shadowy happiness as if it could last forever. But God wants to give you a real and eternal happiness. Consequently He may have to take all these ‘riches’ away from you: if He doesn’t, you will go on relying on them. It sounds cruel, doesn’t it? But I am beginning to find out that what people call the cruel doctrines are really the kindest ones in the long run. …If you think of this world as a place intended simply for our happiness, you find it quite intolerable: think of it as a place of training and correction and it’s not so bad. Imagine a set of people all living in the same building. Half of them think it is a hotel, the other half think it is a prison. Those who think it a hotel might regard it as quite intolerable, and those who thought it was a prison might decide that it was really surprisingly comfortable. So that what seems the ugly doctrine is one that comforts and strengthens you in the end. The people who try to hold an optimistic view of this world would become pessimists: the people who hold a pretty stern view of it become optimistic. Question 6. Materialists and some astronomers suggest that the solar planetary system and life as we know it was brought about by an accidental stellar collision. What is the Christian view of this theory? Question 9. Would the application of Christian standards bring to an end or greatly reduce scientific and material progress? In other words, is it wrong for a Christian to be ambitious and strive for personal success? Lewis: It is easiest to think of a simplified example. How would the application of Christianity affect anyone on a desert island? Would he be less likely to build a comfortable hut? The answer is ‘No.’ There might come a particular moment, of course, when Christianity would tell him to bother less about the hut, i.e., if he were in danger of coming to think that the hut was the most important thing in the universe. But there is no evidence that Christianity would prevent him from building it. Question 15. In the past the Church used various kinds of compulsion in attempts to force a particular brand of Christianity on the community. Given sufficient power, is there not a danger of this sort of thing happening again? 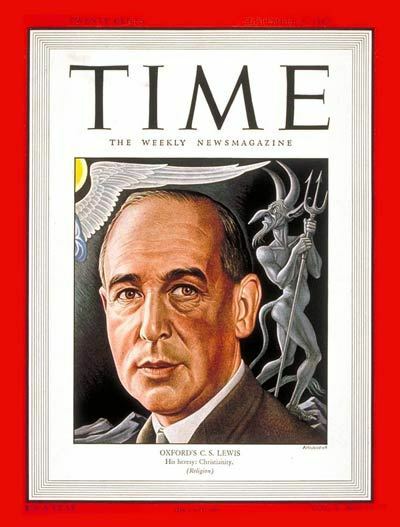 Lewis: …Persecution is a temptation to which all men are exposed. I had a postcard signed ‘M.D.’ saying that anyone who expressed and published his belief in the Virgin Birth should be stripped and flogged. That shows you how easily persecution of Christians by the non-Christians might come back. Of course, they wouldn’t call it Persecution: they’d call it ‘Compulsory re-education of the ideologically unfit’, or something like that. But, of course, I have to admit that Christians themselves have been persecutors in the past. It was worse of them, because they ought to have known better: they weren’t worse in any other way. I detest every kind of religious compulsion: only the other day I was writing an angry letter to The Spectator about Church Parades in the Home Guard! Question 16. Is attendance at a place of worship or membership with a Christian community necessary to a Christian way of life? Lewis: …My own experience is that when I first became a Christian, about fourteen years ago, I thought that I could do it on my own, by retiring to my rooms and reading theology, and I wouldn’t go to the churches and Gospel Halls; and then later I found that it was the only way of flying your flag; and, of course, I found that this meant being a target. …I disliked very much their hymns, which I considered to be fifth-rate poems set to sixth-rate music. But as I went on I saw the great merit of it. I came up against different people of quite different outlooks and different education, and then gradually my conceit just began peeling off. I realized that the hymns (which were just sixth-rate music) were, nevertheless, being sung with devotion and benefit by an old saint in elastic-side boots in the opposite pew, and then you realize that you aren’t fit to clean those boots. It gets you out of your solitary conceit. If you'd like to read more by and about Lewis, here are 30-some of my blog posts related to him, including part 1 and part 2 about his influence on my life and writing. Lewis, C. S. (1994). God in the Dock. (W. Hooper, Ed.) (pp. 38–39). HarperOne. Lewis, C. S. (1994). God in the Dock. (W. Hooper, Ed.) (pp. 39–42). HarperOne. Lewis, C. S. (1994). God in the Dock. (W. Hooper, Ed.) (pp. 44–45). HarperOne. Lewis, C. S. (1994). God in the Dock. (W. Hooper, Ed.) (pp. 51–52). HarperOne.